Just a quick post to let you know that Ginninderra Press is soon releasing a combined edition of my last two collections between giants and old stone: haiku, senryu & haibun in both digital and print formats. Right now you can actually pre-order the kindle version for under five dollars – there’s over 100 pages of poetry in there so it’s longer than my usual collections. I’m very excited about this one – here’s the new cover and stay tuned for a print release, which should be around the same time as the June release of the ebook. For a little while now I’ve been working with Ginninderra Press on a new release – it’s a small collection for their new series ‘Pocket Poets’ – which features slender chapbooks comprising around 20 poems, with each title featuring a single poet. My entry to the series (#37) is called 7 Years and is something of a mini ‘selected works’. For 7 Years I drew out a handful of poems from each of my preexisting collections and included a few uncollected pieces at the end too. It was enormous fun to put together! I love the idea of the Pocket Poets, it’s a great way to sample the work of a poet at an ace price and the neat ‘regular’ envelope size makes it so easy to ship! Once again, I’d like to thank Stephen and also Brenda for being so fantastic to work with and putting together a great release! old stone – available now! 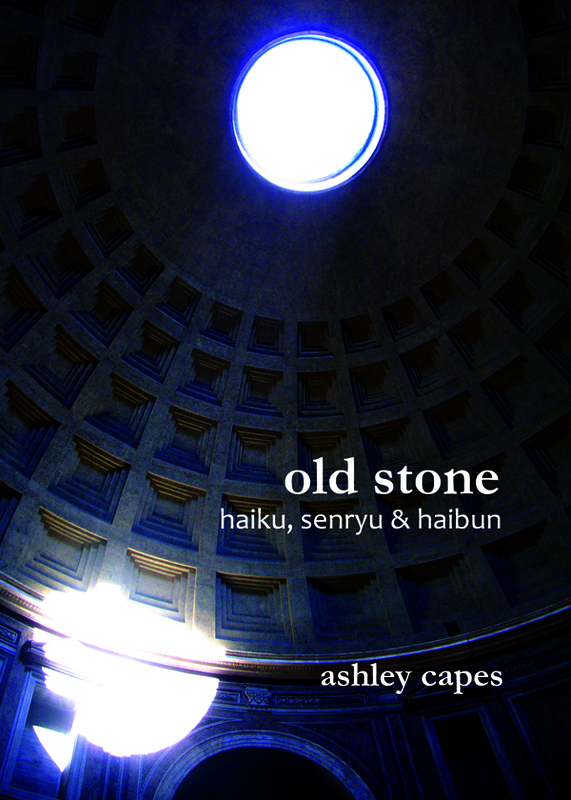 old stone: haiku, senryu & haibun is available now! You can order a copy via paypal through my wonderful publisher, Ginninderra Press, or by contacting me directly for $20 posted (mountain0ash[at]gmail[dot]com). Reflecting a moment, this one feels different because it’s a continuation of some of the travel themes I explored in my last collection, between giants, only in newer forms. Over the last few years, if you’ve been following the blog, you’ll have noticed that haiku, senryu and haibun have often made appearances here. What has attracted me to them as a writer is the different structures and the fight for each verse to not become overburdened – it’s an amazing challenge and I hope the results are satisfying to read! In fact, if you’d like to sample the contents, you can read a few pieces on the book’s page and in a post mentioned below. There’s a Goodreads Giveaway closing soon – but for those of you not on Goodreads I thought I’d run a little comp right here on the blog. It’s a little bit of a mix and match game – if you’re interested in winning a copy of old stone, all you have to do is leave your answer in the comments on the Old Stone Mix&Match post! 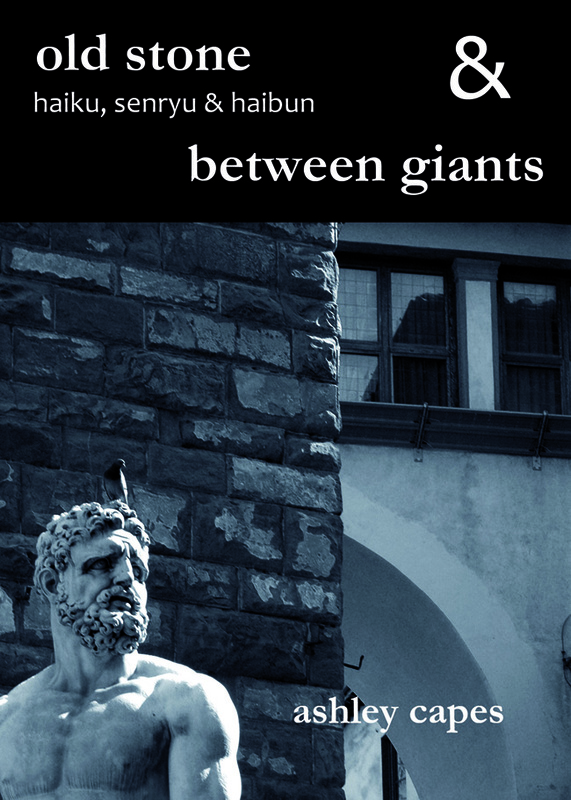 Fantastic review of my latest collection between giants from Victorian poet Robbie Coburn. It’s always, always a thrill to read a great review! To read Ashley Capes’ poetry is like standing on your veranda or in your lounge room, or anywhere for that matter, and simply finding the poetry that lies in the every day. In fact, Capes acknowledges this fact in stating he will ‘keep sucking poetry from small things” (‘a table set for thousands’), a statement that sets the tone for his latest offering Between Giants nicely. 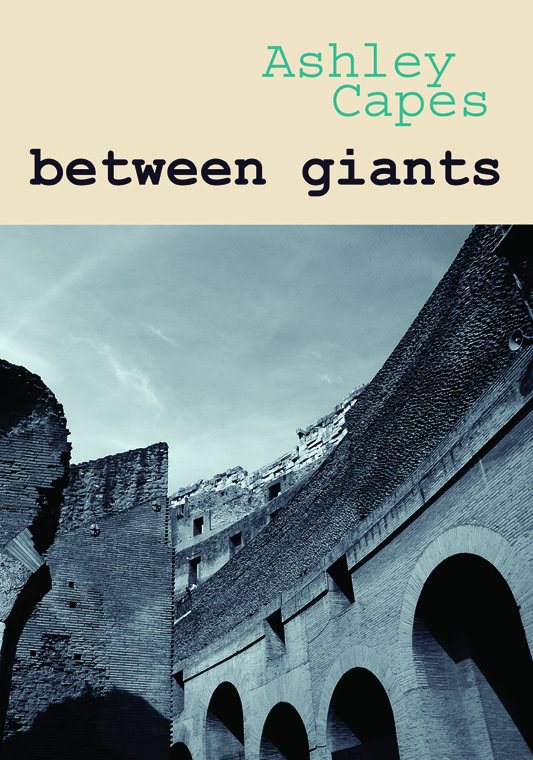 Really happy to share a wonderful review of between giants from blogger and writer Aderyn Wood – it was a great thrill to read this as I really enjoyed the analysis. It’s like a gift, to see your own work through someone else’s eyes – so thank you Aderyn! Over recent weeks I have picked up the book and opened to a random page. More often than not the poems have caused me to stop and think. They compel me to consider things I normally don’t ‘see’, or to simply appreciate a mood or a feeling. Shelley famously said that “poetry is a mirror which makes beautiful that which is distorted.” For Between Giants the poetry is a mirror that prompts you to glean some meaning about the world, but I think every reader will see something different, and it’s not necessarily “beautiful”. Don’t get me wrong though, there is certainly beauty to appreciate in this work – particularly with the simplicity yet weight of meaning within the words.